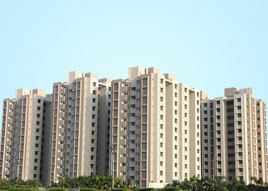 The pan city proposal for Surat city is envisaged to maximize the benefits out of the service base. The proposal aims to improve public services and citizen interface. 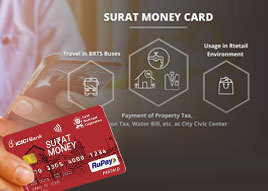 It is centered around the theme of Citizen Friendly Surat through Intelligent Transport and Connectivity. The idea is to integrate various services and offer citizens a variety of options to avail these services in a convenient and cost-effective manner. This pan city solution are also aimed to provide near real time data which will help in service delivery. SMART City Center will operate in four layers. 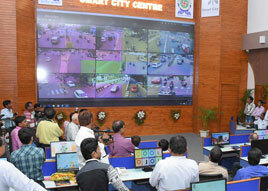 This center will collect functioning information of all the departments on real time basis, as far as possible. Automated sensors and systems will send various data sets to the SMAC Center, which are analyzed to derive some conclusions. SMAC Center will play an important role in providing real time information about civic facility utilization in the city. It will help all the departments in maintaining civic service delivery standards on day-to-day basis. It will give support to the departmental heads for taking quick decisions in restoring services while handling unforeseen disturbing situations. In case of emergency situation, SMAC Center will play important role of coordinating all departments with decision support system for effectively managing rescue and relief operations. Thus the SMAC center will be able to address the issue of delivery quality civic services. This center will house various departments/entities involved with managing city traffic and mobility like BRTS, City Bus, Traffic Police, RTO, Fire, Emergency Services, etc. IT-enabled applications will help all the concerned agencies to co-ordinate and support each other for smooth traffic operations. SMC has intelligent transit system for BRTS, which will be extended to the city bus operations. 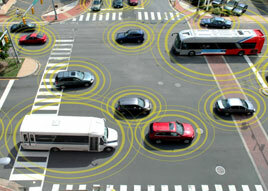 This will offer real-time vehicle location and passenger information. SMC is using Adoptive Traffic Control System (ATCS) in BRTS, which will be extended to all major traffic junctions. Surat city has a network of more than 600 CC surveillance cameras, which will be expanded to all major locations in the city with the IT-MAC. All stakeholder agencies like BRTS, City Bus, Traffic Police, RTO, Fire & Emergency services, utility services, etc. will co-ordinate, share and act on an integrated platform through the IT-MAC. Citizens will be connected through variable message signs, website, mobile app, mobile alerts and social media. Thus, this integrated center will be single point sources in resolving all traffic & mobility issues to the satisfaction of the citizens. This will be Co-Branded Multi-Application Contact less Smart Card. It is envisioned to offer wide range of civic services to citizens with convenience of using single SMART card only. This card will be enriched with many other applications in order to enhance user convenience and experience. In the first phase 16 services have been identified which include transport, health, education, nutrition, affordable housing, shop and other licenses, library, sports and recreational facilities etc. This will fulfill citizen expectations of multi-applicability of the card. Simultaneously it will also make available one more service delivery channel with ‘tap & go’ features. Internet has become a critical enabler of social and economic change, transforming how government, business and citizens interact. SMC wishes to provide WiFi service to the citizens covering important public places. 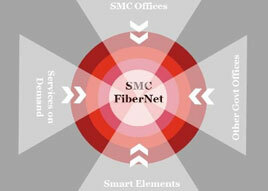 Apart from this, SMC wishes to have the citywide Fiber to Home connectivity, which will be useful in providing reliable connectivity with high bandwidth, meeting the present and future requirements. It will also help in bridging digital divide by enabling access of Internet to all section of society. This component aims at assured and affordable connectivity for all in Surat. Demands and expectations of the citizens will fulfill with this component. Connectivity is also planned on transit. This will greatly help the citizens to get connected with the government. It will also boost up the local economy through online shopping and bookings. Citizens and society in general will also get connected on this inclusive platform. The ERP for critical Municipal Operations is a framework for integrated solutions on a common technology platform to address process automation needs of Surat Municipal Corporation. It will be a modular framework consisting of several integrated applications built for security and scalability. Applications will be assembled on a common technology platform that addresses institution wide process automation. 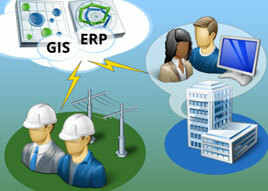 It will also deliver stakeholder specific reports and performance analysis. 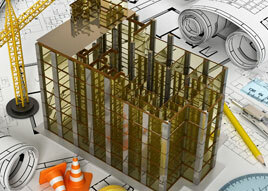 Considering the requirement of incremental quality of services, all major departments will go for ERP development. ERPs in health, education, women & child care will address specific issues of the citizens. SMC will be able to adopt more focused approach in line with the national and state goals. It will also help in establishing the integrated ward office for addressing citizen issues near to their homes at walking distance. Each department will have citizen interface in the form of mobile app, social media, etc. This IT enabled service will make present public transport system more efficient and citizen friendly. It will be possible to manage the system centrally, simultaneously extending a package of transport options to citizens. 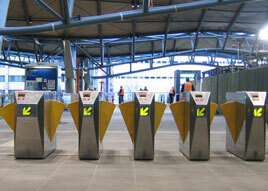 This component will help in having an intelligent public transport system in Surat City. AFCS will not only help in overall management of the public transport system but also it will also give citizen friendly transit options. Surat Smart City focuses on development of a particular area that creates sustainable economic development and high quality of life by smart interventions. It is envisaged that the area under consideration will transform into a well-planned urban space with sustainable and rationally incremental economic development and activity. Selected area is 3% of total geographical area of Surat city. By population it is around 10% of the city population while GDP share of this area is around 16% of the city. Area Based Development for this area with smart features will charge up the business environment and enhance the quality of life of the people. At present there 4 water treatment & distribution centres and 3 ESRs in the selected area providing 75 MLD of water. This infrastructure will be augmented to ensure 24X7 water supply. SMART water meters will be installed for all connections. Water quality standards will be maintained and quality check will be ensured at the source as well as at the end-user locations. In order to conserve water it is proposed to have Rain water harvesting and recharge along with recharge through storm water drainage system. Up-gradation of existing water supply system to 24 x 7 water supply in the proposed area. To reduce NRW up to 15% due to known quantum of unaccounted water. Advance online water quality monitoring and on site testing by mobile testing van. 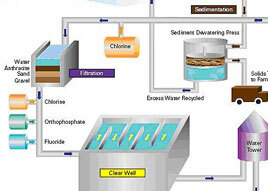 Zero Liquid Discharge WTP – Recycling of backwash water received during treatment process in Water treatment plant. Rain water recharging – to uplift the existing ground water table in the area. "Water Conservation" through IEC Activities – For Awareness in Citizens. 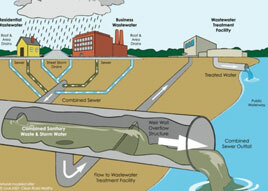 There are two STPs which collects and treats the Sewerage collected from the selected area. It is proposed to novate the existing STPs with SCADA and energy generation and to recycle / reuse at least 50% of treated water from selected area. Up-gradation and augmentation of two existing Sewage treatment plants in the proposed area. Recycling & treatment of secondary sewage water through Tertiary treatment plant for reuse by nearby industries for Industrial use. Remodelling and restructuring of existing 5.5 km creek passing through proposed area – Beautification of both sides of Creek by construction of footpath, cycling track, plantation etc. Rain water recharging by storm water pipes. 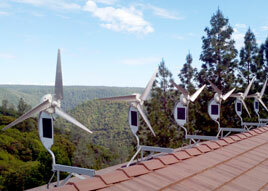 It is the need of an hour to best utilise the renewable sources of energy for the sustained development. As per Smart City guideline, 10% of total electricity consumption of area to be achieved by Renewable energy resources. LED Street lighting and Smart monitoring system in the proposed area- Automatic On-Off of Streetlights through auto sensors. Visible improvement in area along Identification of certain streets as non-vehicle zones and development of open spaces for multiple uses, smart parking development. 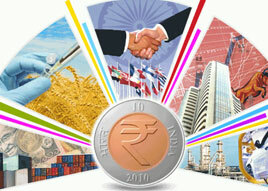 Proposed area is bursting with commercial activities – mainly textile & APMC markets of traders, wholesalers & retailers. To prevent the road side parking practiced currently, mechanized smart Parking is proposed on PPP basis at 7 different locations in the proposed area. As the proposed area with many textile markets is near to railway & inter-state bus station, it has high floating population density and pedestrians find no place on road currently. Further traffic situation is worsened due to pedestrians on road. To solve this problem walkability is provided by 3.6 Km long skywalk / travellator connecting textile market area to Inter-state Bus station and railway station. For visible improvement in the area, implementation of road dividers, proper signage, decorative traffic islands etc. relevant to smart city is proposed. No Vehicle Zone to reduce the pollution and to promote recreation/ art display. Establishment of Innovation, Incubation Centre including a trade facilitation center with the objective of improving ease of doing business, along with modernization of existing Logistic Park with RFID enabled logistics systems, conveyor belts and battery operated vehicles for internal circulation, truck terminal with modern facilities. This modernization will help in reducing the traffic congestion in Bhathena -Anjana area. Although proposed area is bursting with many textile markets, currently no planned logistics facility is available and hence due to haphazard and on-road activities of transportation/ loading/ unloading of goods, traffic problem persists for full day. To solve heavy traffic problem due to such activities in the proposed area, advanced logistic park is proposed. Due to proposed Logistic park, systematic loading-unloading & transportation of textile goods will be possible and traffic congestion will be reduced. High employment opportunities are available in the proposed area due to various commercial activities. A Startup & Incubation centre is proposed here to train the semi-skilled/ skilled job seekers in various trades and to provide necessary information though single window clearance to promote start-ups. To improve the liveability condition of citizens in the slum pocket, Affordable housing projects are proposed in the area. Planning of 1050 EWS and 1950 LIG Houses under Pradhan Mantri Jan Aawas Yojana. Planning of Zero Slum Area by developing 5750 houses based on PPP model. Total Projected cost of Rs. 700 crores. It includes Rs 460 crores of PPP.